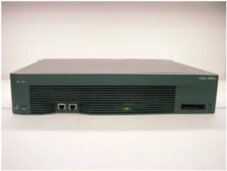 Cisco 3600 Series is a family of modular, multiservice access platforms for medium and large-sized offices and smaller Internet Service Providers. Building Block Computers supplies you with a choice of Cisco 3600 routers. These router models provide solutions for data, voice, video, hybrid dial access, virtual private networks (VPNs), and multiprotocol data routing. We can provide refurbished quality parts all backed with a full 90 day warranty.